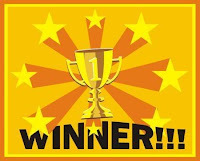 It's that time again... time to announce the winner of the UnPlanned Dvd! The winner has 48hrs to respond to my email. 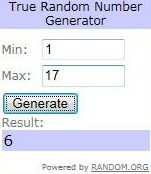 If no response, then a new number will be chosen at random.org. Thanks Kim - I just e-mailed you with my info! By the way, I hope you are feeling better - it's been a miserable allergy week for me too!